In that same twenty-year period, the global proportion of people living without access to clean water was halved as well, with 2.3 billion people gaining access to improved drinking water between 1990 and 2012. Safe water means consistent access to and adequate supply of clean water suitable for drinking, bathing, cooking, and cleaning. According to the World Health Organization, this means safe drinking water from a source less than 1 kilometer (.62 miles) away and at least 20 liters (5.28 gallons) per person per day. In some cases, safe water for irrigation or animals might be necessary to the extent that it affects individual human health and dignity. From the local farmers market to large multinational corporations in agriculture, manufacturing, and service industries, all businesses rely on some extent on consistent access to safe water and sanitation. Water is essential for growing and processing raw goods for food and textiles. It is essential for industry and manufacturing, from local farmers washing produce to processing goods like coffee and cotton to steel manufacturing. Water and poverty are intertwined for both employees and consumers. Without safe water and sanitation during the day, workers and customers have to leave their job or market to find water and a place to go to the bathroom. Employers who are able to provide safe drinking water and adequate sanitation facilities for their employees are able to retain healthier and more productive employees. Schools in rural areas often have a difficult time retaining teachers when they cannot provide sanitation facilities in or near the school. Whether self-employed or employed by another, we have to stay healthy to do our work and be productive. Moreover, in order to earn an income, we can’t spend all our time caring for sick family members. For those who live without safe water, adequate sanitation, and effective hygiene practices, water-borne disease is a constant threat to health, keeping people out of the work force and in poverty. Over 40 billion productive hours are lost each year to fetching water in sub-Saharan Africa. About half of the developing world’s hospital beds are occupied by people with water-related illness. Water and poverty are linked in education; preventable, water-borne disease keep children out of school. An estimated 443 million school days are lost each year from water-related illness. In many cases, children are too sick with diarrhea and other water-borne diseases like typhoid, cholera, or dysentery to go to school or must care for sick family members instead of going to class. Children also must help their families retrieve safe water from long distances if it is not available nearby. When the school does not have sanitation facilities, even a simple latrine, children must defecate in the open or miss class while they find someplace to go to the bathroom. This not only makes them miss class, it facilitates the further spread of disease. When girls begin puberty and start to menstruate, they are disproportionately affected by a lack of safe water and sanitation because they are unable to attend to their hygiene needs at school. They must miss class for long periods, skip roughly one quarter of school days, and many drop out of school altogether. When children are unable to attend school and get an education, the workforce of the entire country is affected, and nations looking to emerge from widespread poverty find this obstacle very difficult to overcome. Much like business, civil society relies on a healthy, educated public. This is especially true in democracies, where people use their votes to determine the policies of the nation or region. When large numbers of citizens are too sick to participate in civil society, or when citizens are uninformed about the issues, they are vulnerable to corruption and oppression. In many countries preventable, water-borne disease keeps a large portion of the population in a cycle of illness, illiteracy, and poverty. People in this position may spend most of their time on the daily tasks required for survival, like fetching clean water, making it difficult to organize for community development. When there is no safe water and sanitation, people are more vulnerable to powerful or wealthy individuals and groups that threaten their security and resources. On the other hand, positive experiences in community development, when the community members are equipped and empowered to help themselves get access to safe water, sanitation, and hygiene often lead to more productive collaboration in other areas, like education, ecological stewardship, and small business. Community achievement is contagious and transformative. Lifewater’s programs invest heavily in community involvement, building on the community’s gifts and strengths to lay a foundation for more growth in poverty reduction efforts. Women bear the heaviest burden when there is no safe water and sanitation. In most places that lack these resources, women and children are responsible for retrieving water for their families, often spending several hours each day traveling and waiting at a water point. This often puts them at risk of assault and injury. The women and girls often stay home from work and school to care for family members that are sick with water-related diseases. They do most of the cooking and cleaning for the family. They miss school when there is no latrine to give them a private place to take care of their hygiene needs during menstruation. They are more vulnerable to infections when they have to wait until dark to use the bathroom, which often means defecation in a field or forest. 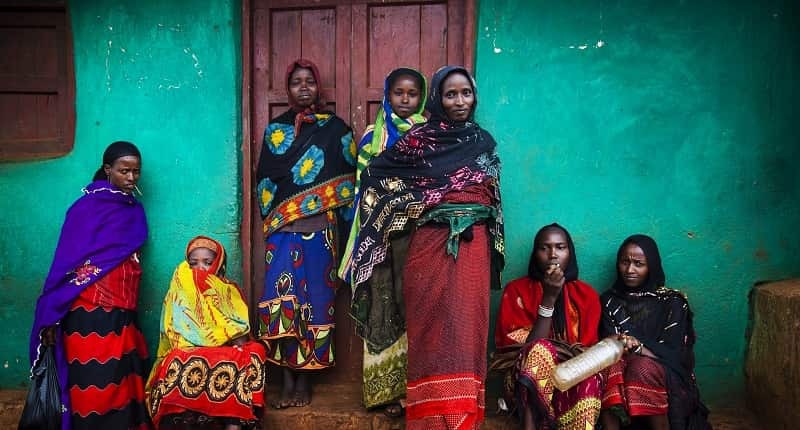 The cycle of water and poverty continue where women must endure these experiences, as they are often excluded from productive or income-earning labor. Where women have access to a nearby source of clean drinking water, a toilet or latrine, and knowledge about good hygiene practices like handwashing, they and their families thrive. They can use the time saved to work in home-based businesses and agriculture as well as employment outside the home. 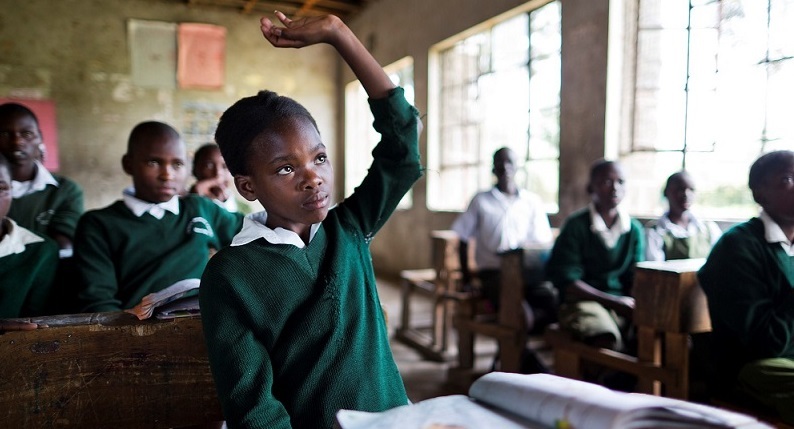 More girls can attend school, and for longer. They can break the cycle of poverty and water-borne disease. Lifewater’s programs make women’s involvement a non-negotiable. Since women are so closely connected and affected by water and sanitation, they must be involved in the solution. Women must serve on village water committees, and we have found this not only to be more effective in the sustainability of the water point, but we have found these empowered women often become a huge asset to their community where they may not have had the opportunity before. Communities affected by disaster, either natural or man-made, are more resilient if they have access to safe water and sanitation. Communities with safe water have healthier members, whose bodies are more resistant to illnesses that come with disaster and displacement. Safe water points can be life-savers in times of displacement when people, usually the poor, must travel long distance over long periods. Sanitation facilities among displaced people are necessary to avoid the spread of disease, especially to weakened or injured people. When clean drinking water, latrines or toilets, and good hygiene practices are present, people can recover from disaster more quickly. Investment in WASH promises one of the highest rates of return of any development relating to water and poverty. It offers the most significant single opportunity for change in the lives of those in extreme poverty, its effects reaching to all other activities and relationships. A $1 investment in WASH yields $3-$34 in economic return, but lack of WASH can cost up to 5% of a country’s GDP. “Poverty Overview,” World Bank, last updated Apr 7, 2014, http://www.worldbank.org/en/topic/poverty/overview. WHO and UNICEF Joint Monitoring Programme for Water Supply and Sanitation, Progress on Drinking Water and Sanitation: 2014 Update (Geneva: WHO Press, 2014), 12. “Health through safe drinking water and basic sanitation,” World Health Organization, last accessed October 2, 2014, http://www.who.int/water_sanitation_health/mdg1/en/. United Nations Development Programme (UNDP), Human Development Report 2006, Beyond Scarcity: Power, poverty and the global water crisis (New York: Palgrave Macmillan, 2006), 47, available at http://hdr.undp.org/en/content/human-development-report-2006. United Nations Development Program (UNDP), Human Development Report 2006, Beyond Scarcity: power poverty and the global water crisis (New York: Palgrave Macmillan, 2006), 45, available at http://hdr.undp.org/en/content/human-development-report-2006. In 2012, development economists ranked getting clean water to rural villages as number one in greatest estimated impact among strategies to fight global poverty. Bruce Wydick, “Cost-Effective Compassion,” Christianity Today, February 2012, 24. Schuster-Wallace et al., Safe Water as the Key to Global Health, United Nations University (UNU-INWEH) (2008), 6, available at http://inweh.unu.edu/wp-content/uploads/2013/05/SafeWater_Web_version.pdf. When operation and maintenance costs are included, a more conservative estimate is $2-$5.50 in return (globally) for water and sanitation investments, respectively. Guy Hutton, Global costs and benefits of drinking-water supply and sanitation interventions to reach the MDG target and universal coverage (WHO: 2012), available at http://www.who.int/water_sanitation_health/publications/2012/globalcosts.pdf. UN Water, The UN World Water Development Report 3: Water in a Changing World (UN Water: 2009), 8, available at http://www.unesco.org/new/en/natural-sciences/environment/water/wwap/wwdr/wwdr3-2009. Schuster-Wallace et al., Safe Water as the Key to Global Health, United Nations University (UNU-INWEH) (2008), 8, available at http://inweh.unu.edu/wp-content/uploads/2013/05/SafeWater_Web_version.pdf.